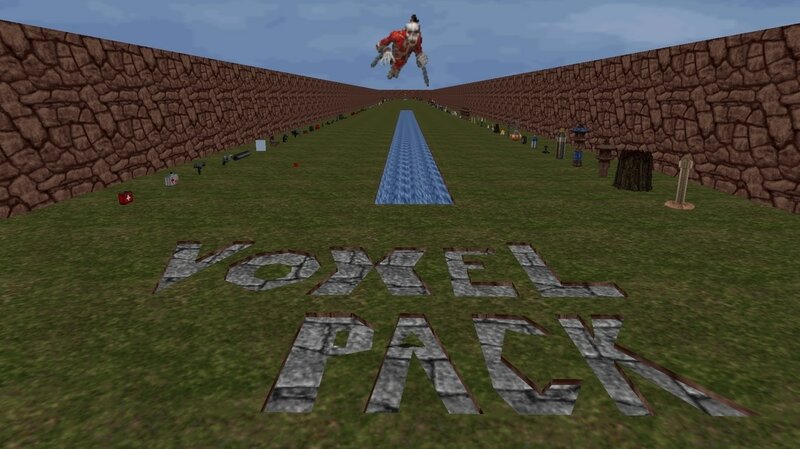 I've included a README file so you can disable the voxels you don´t like. Hope you´ll like it. Have fun! Here's a small map created to showcase/view all of the voxels in the game plus the new ones added from Mxrtxn's voxel pack. This map was made June 2 2015 so it may not contain some new voxels that have been updated/added to the Voxel Pack since that time.